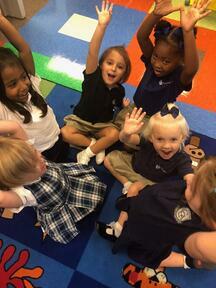 Schedule Your Visit to Covenant Christian Academy! Visiting during a school day is one of the best ways to know if Covenant Christian Academy is right for your child. You will meet with our Admissions Director and have the opportunity to ask questions about your particular grades of interest, view curriculum and receive an admissions packet for further review. Please complete the form and we'll be in touch to discuss the details of your visit to Covenant Christian Academy. We look forward to getting to know your family.